A sore throat (pharyngitis) is normally a symptom of a bacterial or viral infection, such as the common cold. In approximately a third of cases, no cause for the sore throat can be found. Sore throats are common, especially in children and teenagers. This is because young people have not built up resistance (immunity) against many of the viruses and bacteria that can cause sore throats. Most sore throats are not serious and usually pass without the need for medical treatment. Over-the-counter painkillers, such as paracetamol or ibuprofen, and self-care tips can usually help to relieve the symptoms of a sore throat without the need to see a GP. Antibiotics are not usually prescribed for a sore throat, unless it is particularly severe or you are considered at risk of a more serious infection. How long will a sore throat last? Blood tests may be carried out if your GP suspects you have a type of viral infection called glandular fever (also known as infectious mononucleosis). If your symptoms are very severe or getting worse quickly, visit your nearest accident and emergency (A&E) department or call 999/112 for an ambulance. 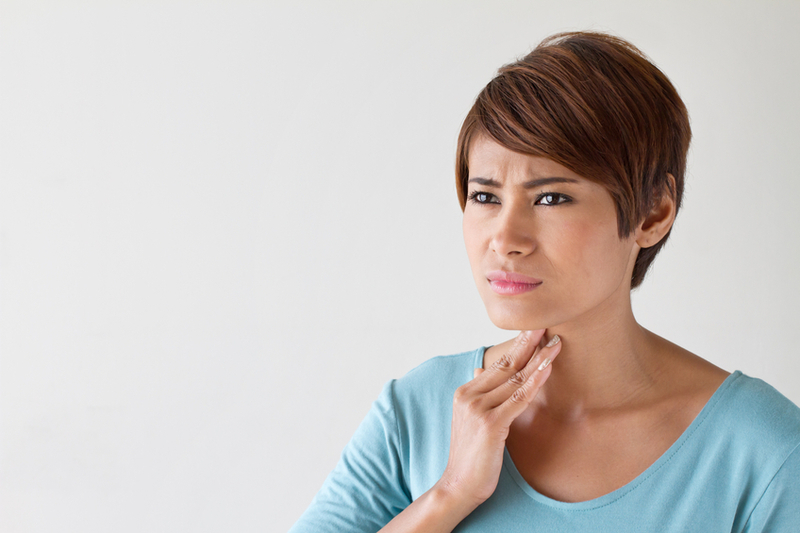 While most sore throats can be treated at home, some people are more at risk than others of developing complications from a sore throat, and may need additional treatment.